Tiger Woods shot his first first bogey-free round in nine months at the Australian Open. Australian Lyle shot a seven-under-par 65 on day one – but former world number one Woods made four birdies. 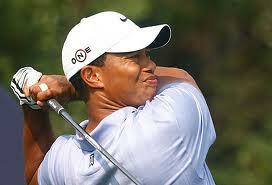 Woods, preparing for the Presidents Cup next week at Royal Melbourne, is attempting to end a two-year winless streak. His last victory was at the Australian Masters in Melbourne in November 2009. The former world number one had to deal with treacherous afternoon conditions in Sydney and shares eighth spot alongside Bubba Watson and amateur Jake Higginbottom. Woods’s display, after the controversy surrounding comments made by his former caddie Steve Williams last week. Home favorite Adam Scott also had a good day as he carded a three-under-par 69, which included an incredible albatross on the par-five eight.